AMT equipped vehicles are slowly moving up the popularity charts in the Indian market. Manufacturers are realizing the cost benefits and pricing advantage over a conventional CVT, while the customer has begun embracing the idea and apparent benefits of an automatic vehicle. Nissan has now jumped on this bandwagon and the Terrano is the first recipient in its range to get an AMT gearbox. So, how good is it? Our experience so far with AMT gearboxes has been a mixed bag. 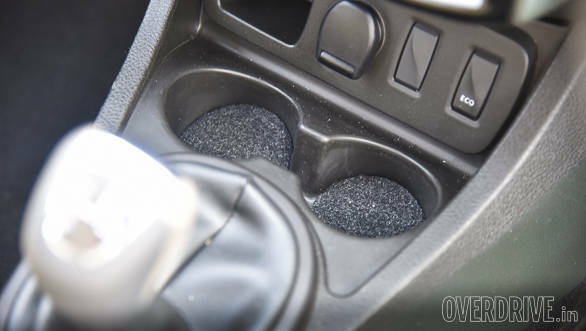 While we liked the convenience of not having to change gears manually while driving in crowded city roads, the lazy response and irritating pause in between gear changes irked us to no end. 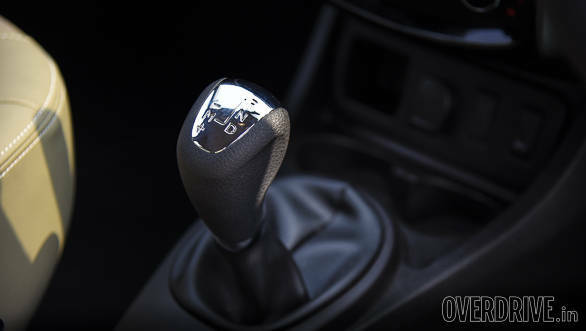 The Terrano's 6-speed AMT, however, is in a completely different league. 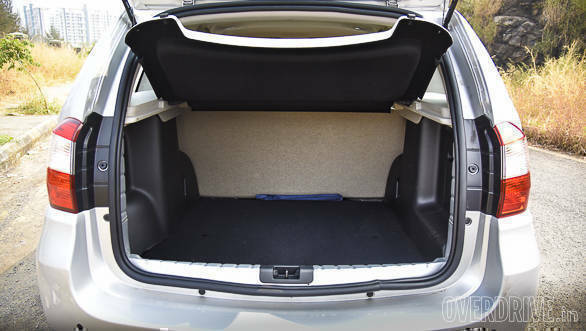 In fact this, by far, is the best AMT box we've tested. 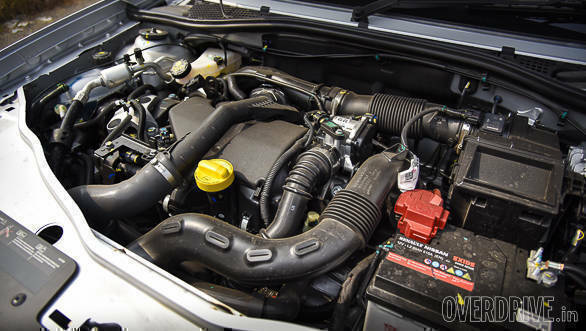 It gels perfectly with the brilliant 1.5-litre, 110PS K9K diesel engine, and makes good use of its 245Nm torque. Driving at city speeds is a breeze as the gearbox keeps the engine in the power band at all times. The pause, in between shifts, is present but it's only for a fraction of a second. It's not seamless like a CVT, but its close. In Eco mode, and on a gentle throttle, the transmission shifts to a higher gear as soon as you're past 2,000rpm, enabling the SUV to ride the torque wave efficiently. You can cruise in fifth gear at 50kmph, with the revs at 1,500rpm, without straining the engine. This translates to excellent fuel-efficiency, and we clocked 16.1kmpl in the city and 22kmpl at highway speeds. 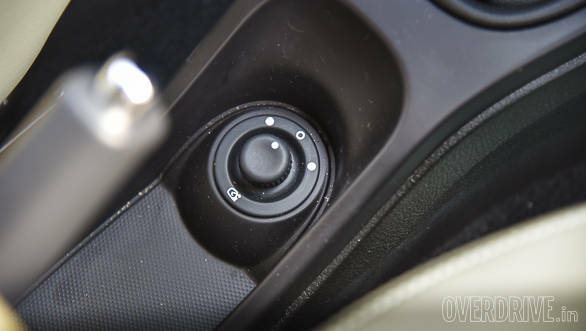 Switching the Eco mode off results is quicker acceleration and pinning the throttle to the floor will make the tacho needle rise to 5,000rpm before the next cog is engaged. The AMT also responds quickly to throttle inputs, and rapid overtakes are easy as the transmission is quick to drop gears. We managed to clock a 0 - 100 kmph time of 14.4 seconds which is about 1.5 seconds slower than the stick-shift Terrano . In manual mode, the gearbox is equally responsive and much more involving when you're driving around the twisties. This mode also offers stronger engine braking than the auto mode. There are no steering mounted audio controls, at this price! 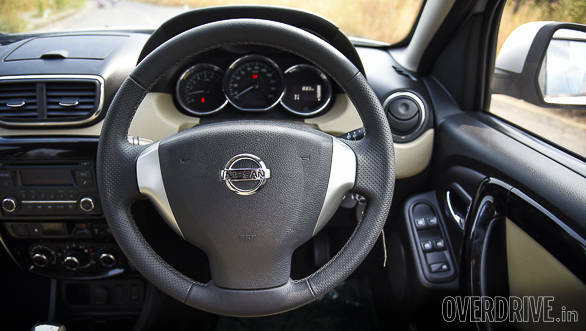 The Nissan Terrano AMT serves as a good choice for those who want the ruggedness, presence and power of a compact SUV without the hassle of operating a heavy clutch. 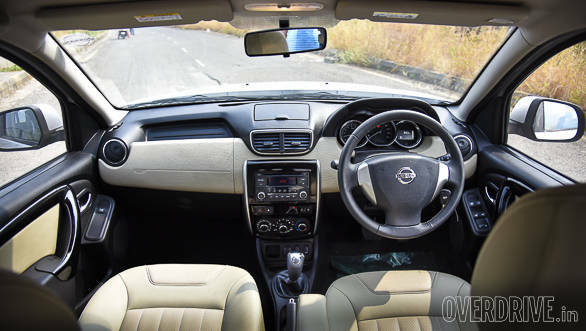 And the ride quality in the Terrano is excellent which gives it additional brownie points. 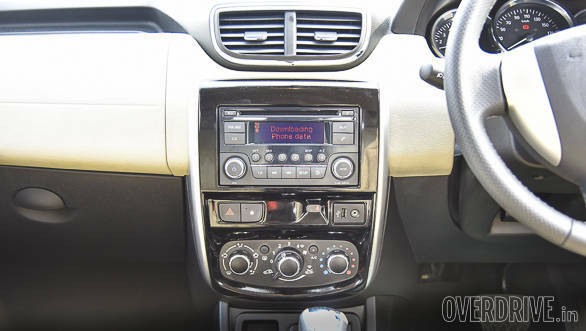 That said, at 17.62 lakh (all prices on-road Mumbai), the Terrano AMT does not feel like tremendous value. The design has begun to age and the equipment list is slim, especially when you consider the competition. 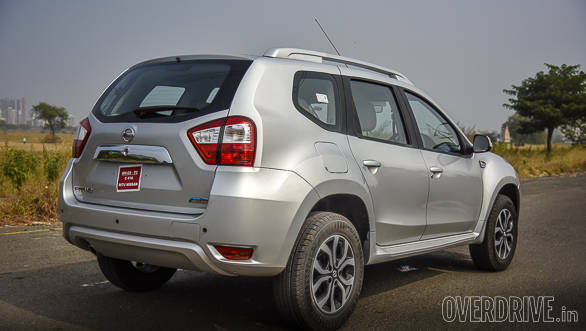 Positioned at an Rs 91,000 premium over the refreshed and much better equipped Renault Duster AMT, the Terrano does seem to have lost quite a lot of its sheen. There's also the Rs 18.00 lakh Hyundai Creta AT to consider. 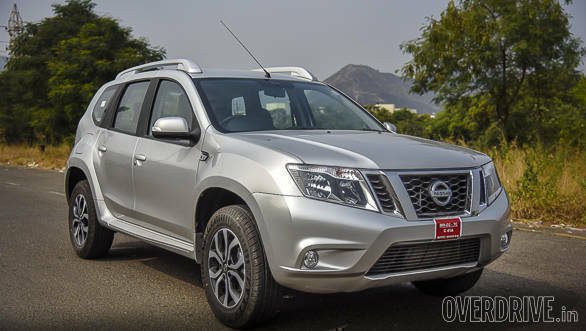 It's time for the Terrano to get a thorough make over - the impressive platform certainly deserves it.